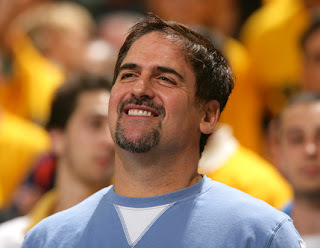 I'm Gonna Meet Mark Cuban - Are you? Yes, I know I haven't posted in months, and I promise to get back into it soon. One of the reasons I have not posted lately, is because I've been working hard planning the first major speaker event for the Jewish Entrepreneurs Organization. Mark Cuban is kicking off our Inspiration Series™ with a bang. He'll tell his personal story of how he achieved his dreams and the trials and tribulations he faced along the way. A networking session with cocktails and hors d'oeuvres will follow. To buy tickets visit www.jewishentrepreneurs.org!